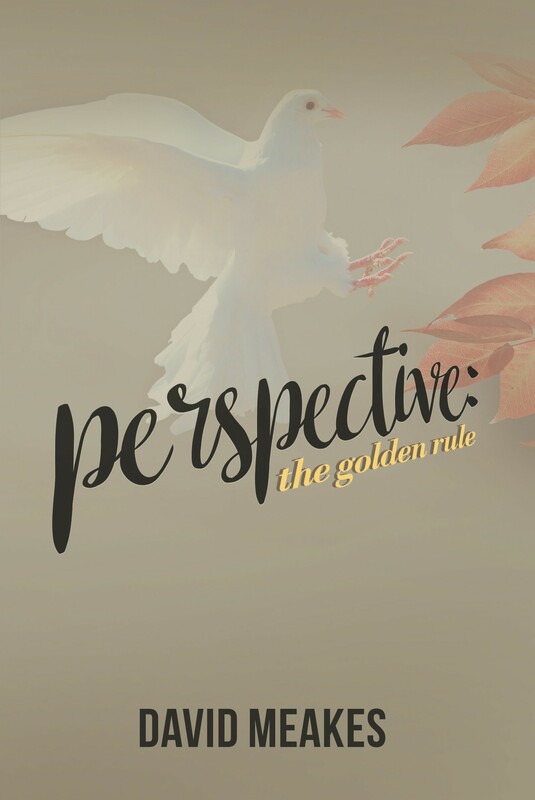 DISCOVER A UNIQUE, COMPREHENSIBLE, AND ATTAINABLE CONCEPT FOR WORLD PEACE. In Perspective: The Golden Rule, David Meakes brings passion, revealing insight, and thoughtful analysis to illustrate his visceral hatred of the immorality and cruelty of war. By taking the reader through his growing years; his rational doubt of traditional religions; his political belief; his five years of WWII experience; the assassinations of President John Kennedy, Dr. Martin Luther King and Senator Robert Kennedy; and his comprehensive review of the causes and solutions of war, he presents a distinctive and informative approach to the age-old quest for world peace. 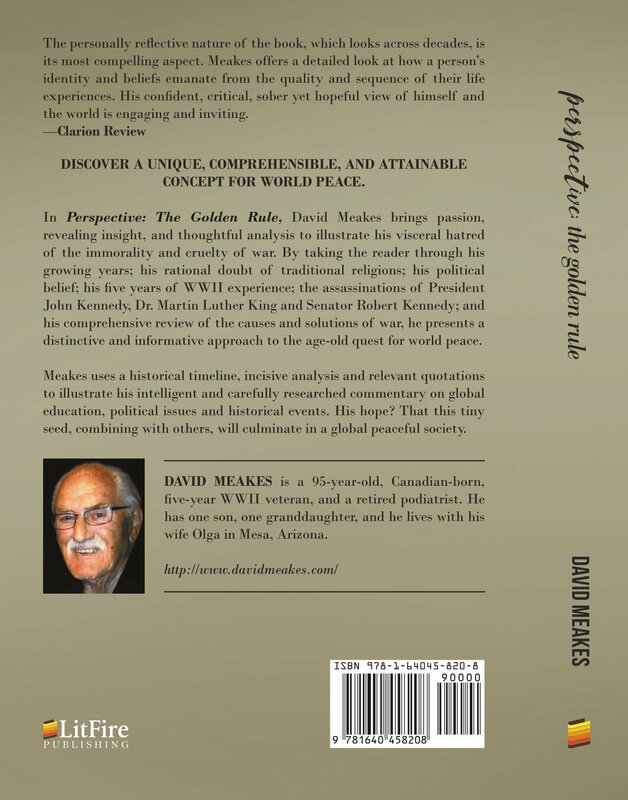 Meakes uses a historical timeline, incisive analysis and relevant quotations to illustrate his intelligent and carefully researched commentary on global education, political issues and historical events. His hope? That this tiny seed, combining with others, will culminate in a global peaceful society. DAVID MEAKES is a 95-year-old, Canadian-born, five-year WWII veteran, and a retired podiatrist. He has one son, one granddaughter, and he lives with his wife Olga in Mesa, Arizona.